Sukeshi Thakkar has been living with Type 1 diabetes for almost 30 years. Both her parents had Type 2 diabetes and her father, a doctor, diagnosed her diabetes when she was 26. Sukeshi put her own health ‘on the back burner’ when she cared for her mother who had suffered a massive stroke, but when her parents had both passed away she felt it was time to take control of her condition and manage it properly, as it had already affected her feet and kidneys. She thought she was an expert; but when her Consultant invited her to attend a DAFNE course (DOSE ADJUSTMENT FOR NORMAL EATING) at her local hospital she learned things that changed her life. “The DAFNE course teaches you the skills to administer the right amount of insulin for the amount of carbohydrate you choose to eat.” Sukeshi continues, “There’s a lot about carb counting and you learn the importance of testing regular, varying injection sites, changing needles each time. Groups of 6-8 participants are given guidance by educators trained in DAFNE, allowing them to learn by experience and practice the key skills of estimating carbohydrate and adjusting insulin dose. Participants can share their experiences, but can also speak with the DAFNE Educators privately about their individual circumstances. One of the core goals of DAFNE is to allow people to fit diabetes within their current lifestyle, rather than making huge lifestyle adjustments for their diabetes. The skills you are provided with are crucial - especially for people considering Libre (a patch that helps you monitor your blood sugar levels)...but it’s important to know that DAFNE is currently only offered by diabetes units that have DAFNE trained educators and doctors, and private DAFNE courses are not yet available. Be able to speak, understand and read English. And how to evaluate your blood glucose patterns and adjust both quick-acting and background insulin (on separate occasions, not at the same time) to attain blood glucose levels in the target range. 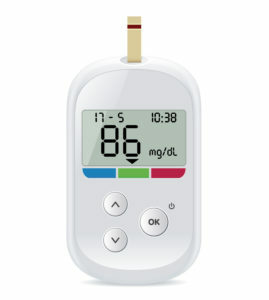 No increase in severe hypoglycaemia (Australian studies of DAFNE have found that severe hypoglycaemia has been reduced). “When I first attended the DAFNE course my blood sugar levels were at 119 – whereas the normal prescribing level is between 45 – 55 units. After the course I’m now down to 72 – but it’s my aim to get to 50. At the end of Day one I went home thinking that the DAFNE course was so good that it should be compulsory for Type 1 diabetics; a bit like a driving test,” she comments. “I suppose it won’t suit everyone but that’s how I felt; and I still feel that all Type 1 diabetics should be told about the DAFNE course and given the opportunity to attend one. It could help nearly all Type 1 diabetics significantly improve their blood sugar control. 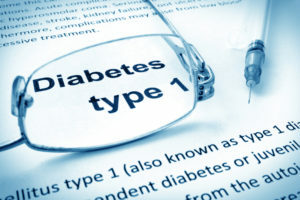 For more information on DAFNE you can visit the DAFNE website and also read our Medical Matters blog article 'Blood Sugar Testing For Diabetes'.